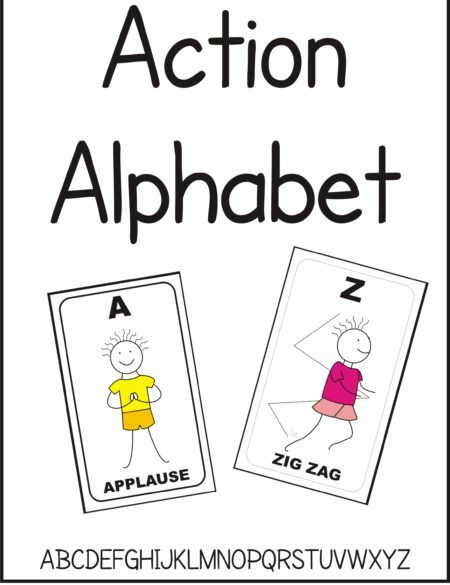 Activity: Prior to the session, print and create each student’s name using the Action Alphabet small cards. Review with the students all the actions for each letter of the alphabet. Now go through each student’s name performing the exercise that correlates with each letter in their name. 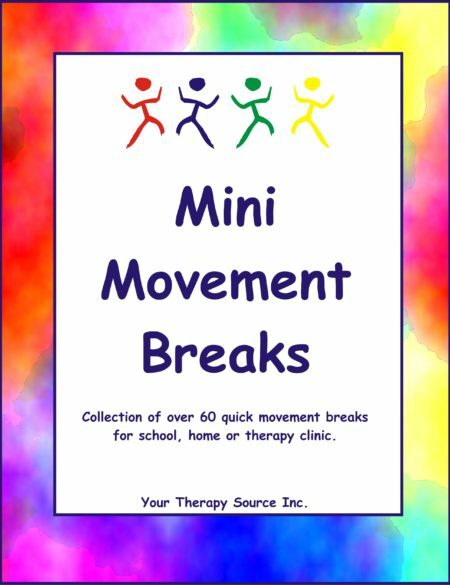 Provide each student with his/her exercise name plate. 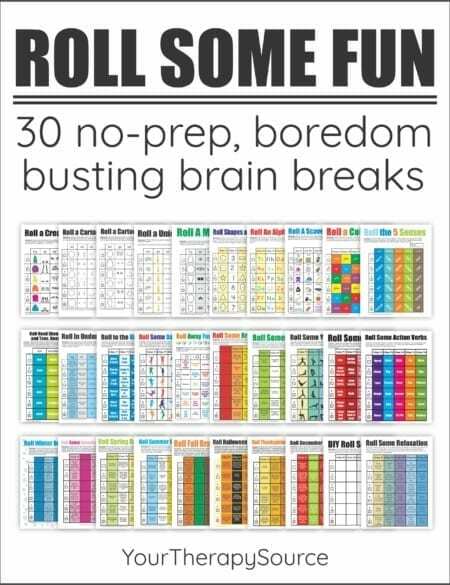 When time allows, the student can exercise his/her name as a brain break or prior to fine motor or academic activities. Alternative Option: Play guess the word. Glue some action alphabet cards on paper but cut off the letters. 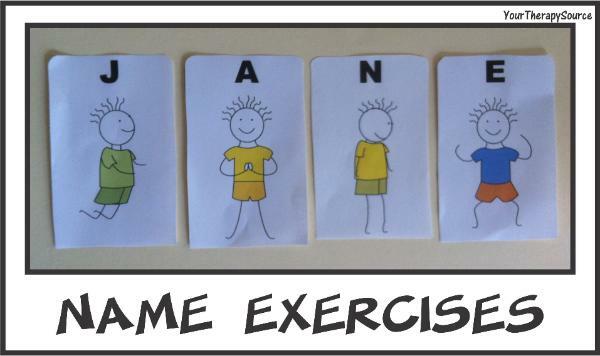 Have the children exercise each letter to spell the mystery word. You could do this for any holiday theme, review vocabulary words or any academic material.